The Greens of Bedford’s one, two, and three bedroom apartments for rent in Tulsa, OK, offer several floor plans to fit your personal needs. With five different layouts to choose from, The Greens of Bedford has the space and amenities you seek. 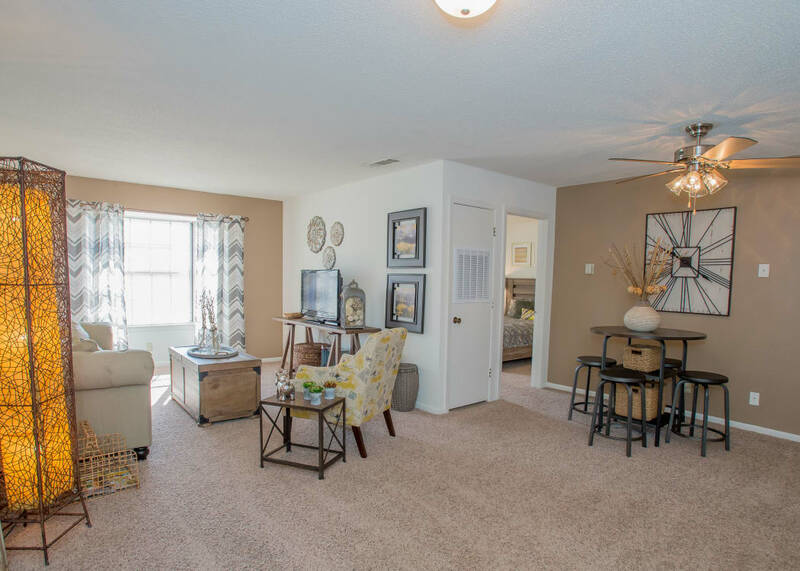 With floor plans ranging from 700 to 1,200 square feet, you are sure to find the home that fits your space and storage needs. Living with a friend or roommate? Be sure to ask our housing staff about our apartments with separate entries for the ultimate privacy. The Greens of Bedford takes pride in our offerings. We would love to help you find the warm and inviting home that you have been searching for. At The Greens of Bedford, you can forget about the days of walking to the laundromat and counting quarters. We have a washer and dryer in each apartment to make laundry day a breeze. 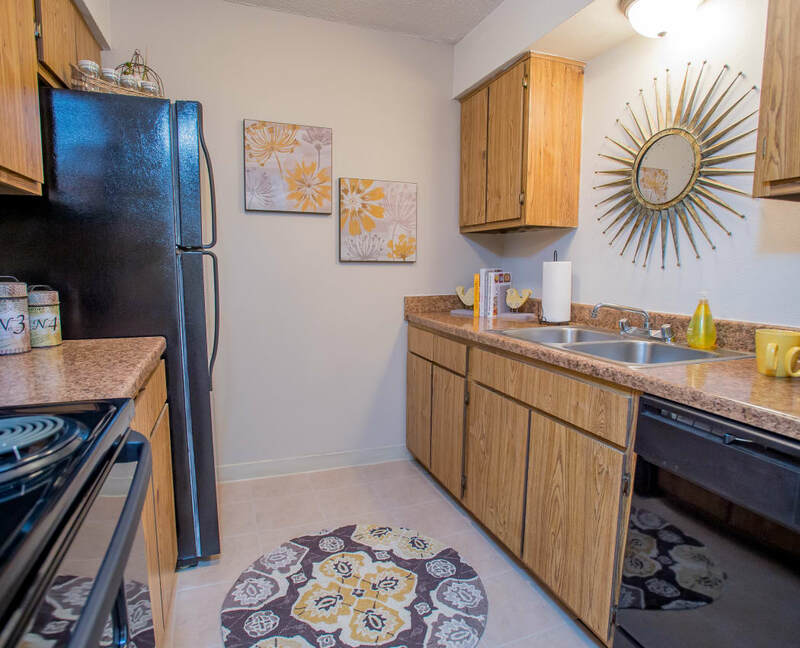 Our apartment homes have updated appliances and updated countertops to help your home look its best. The built-in microwave gives way to extra countertop space, providing the perfect setting to whip up gourmet meals. Our bay windows bring in loads of sunlight to help provide your home with added warmth. Residents love our walk-in closets, which give you ample space for your wardrobe. In the winter months, cozy up with a cup of hot cocoa in front of one of our wood-burning fireplaces. Does this sound like your kind of life? Call our leasing office today to schedule a personalized tour.